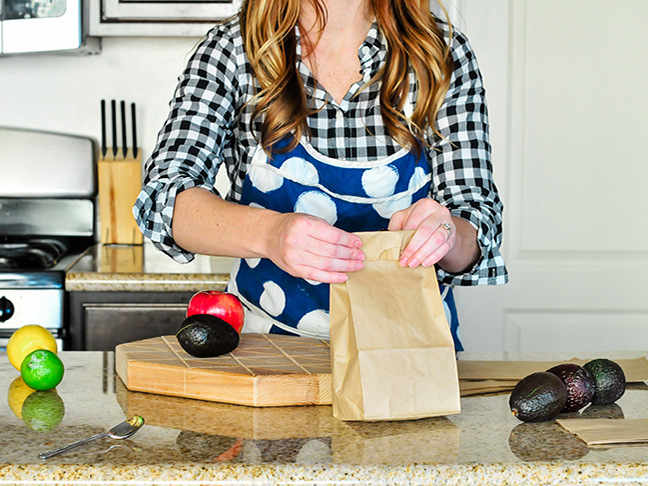 Have you ever purchased unripened avocados and tried to use them in a recipe the next day? Well, I have. 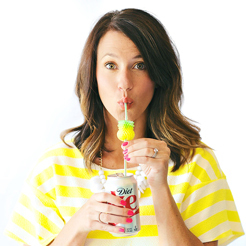 I totally took one for the team, and the result was less than satisfactory. I needed some avocados for cowboy salsa, and the avocados I used were hard as a rock. I quickly took to figuring out how to ripen avocado quickly to avoid disaster the next time I had under-ripe avocados on hand. Forget waiting five days. 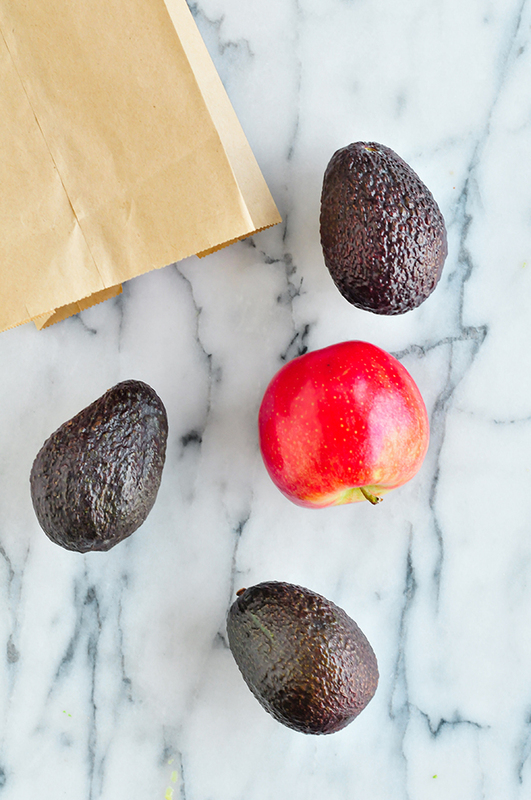 Here are two methods to quickly ripen an avocado that totally WORK. 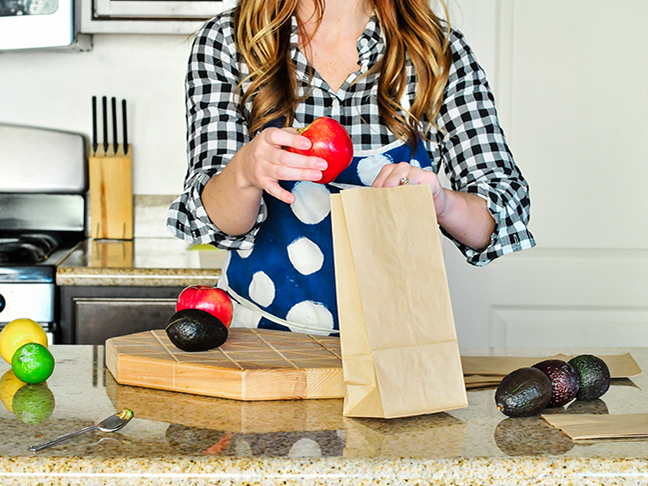 Step 1: Start by placing the apple or banana in the bottom of the bag along with several avocados. The ethylene gas that the apple omits naturally speeds up the ripening process for other foods it comes into contact with or is stored next to. Step 2: Fold up the top of the bag and keep it shut for twenty-four hours. 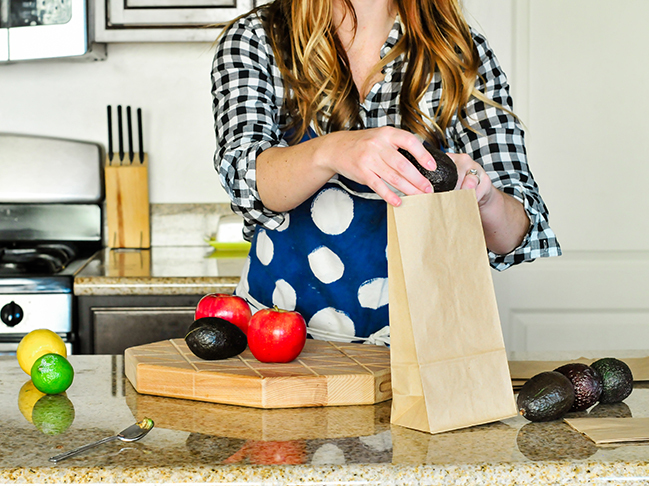 To really speed things up, place several apples or bananas in the bag with the avocados. Live a little. In just twenty-four hours, the avocados were MUCH softer, and the flesh was the perfect consistency for a good “game day” dip. We live in Arizona, making our kitchen just warmer than average temperature in general. Heat softens all sorts of foods, and I also found that by applying heat to the avocados, you can soften and ripen them up in under thirty minutes. 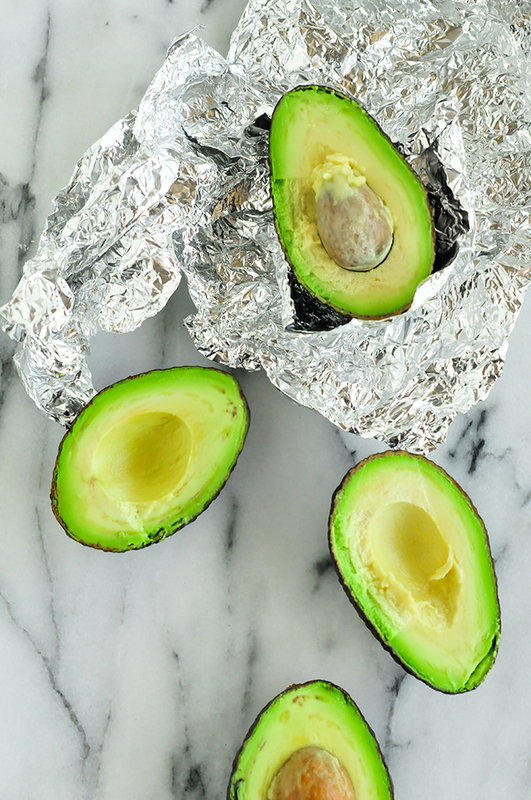 If you’re really short on time, simply wrap the avocados in foil and blow dry them for ten to fifteen minutes. 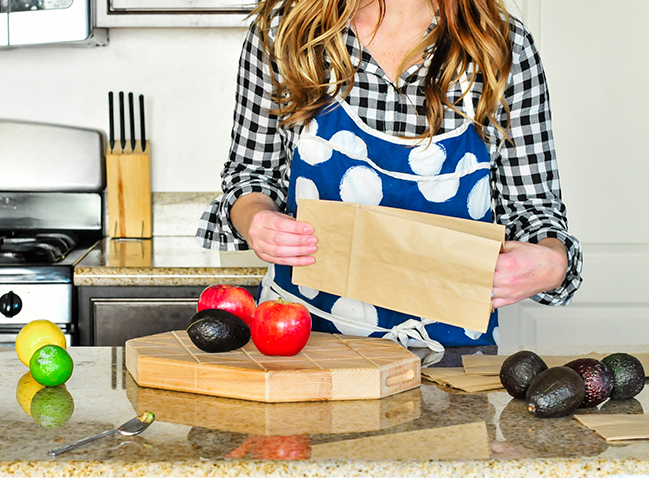 Step 1: Using the same principals as above, your oven will work its magic on avocados, too. 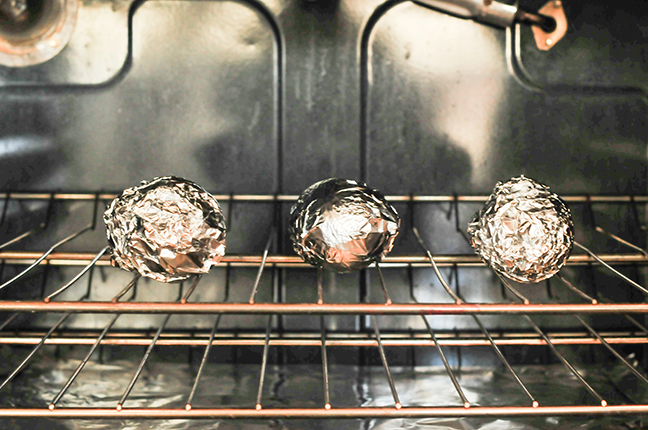 Place foil-wrapped avocados in a 200 degrees Fahrenheit oven for fifteen minutes. Step 2: Remove them from the oven. 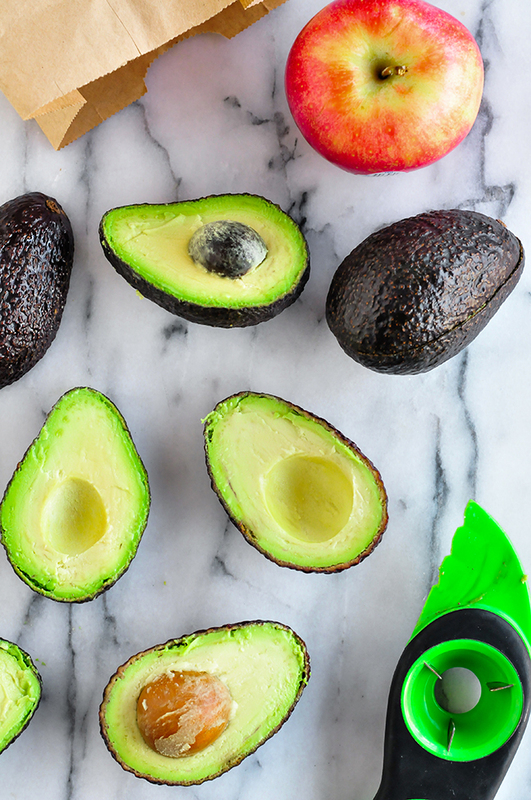 Peel the foil away, and admire your freshly ripened avocados.